This topic contains 1 reply, has 109 voices, and was last updated by Frank Dutil 3 years, 3 months ago. 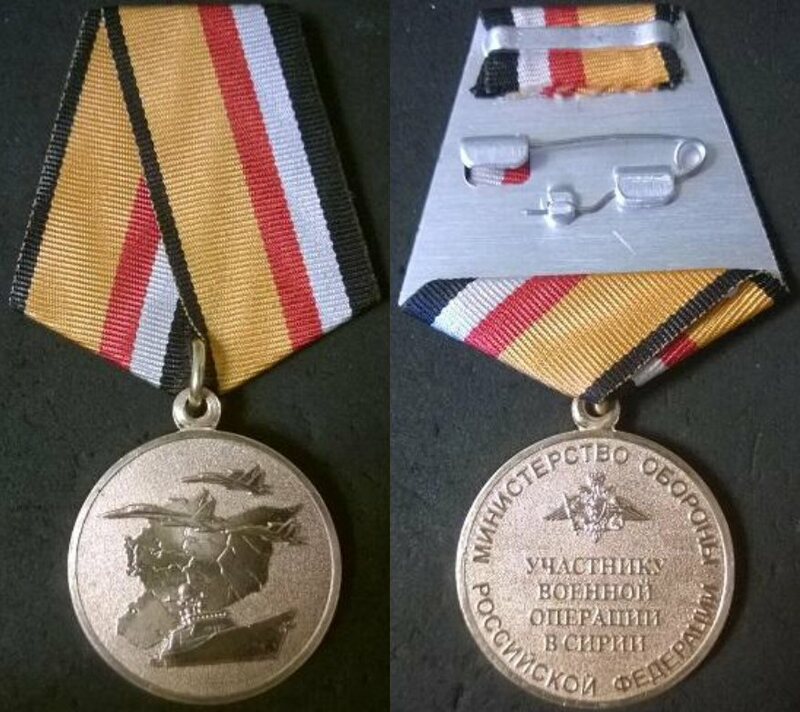 New medal of the Defense Ministry of the Russian Federation "Participant in military operations in Syria". Order of the Minister of defense of the Russian Federation № 732 dated 30 November 2015. Awarded to military and civilian personnel of the Armed Forces of the Russian Federation: for excellence, courage and selflessness, displayed during military operations in the Arab Republic of Syria; for the successful management of the actions of subordinates in carrying out military operations in the Arab Republic of Syria; for selfless work and great personal contribution in the performance of tasks during military operations in the Arab Republic of Syria. May also be awarded to other citizens of the Russian Federation and to foreign citizens for assistance in solving the tasks assigned to the Armed Forces of the Russian Federation during military operations in the Arab Republic of Syria.